Banks should overhaul their mobile apps to meet the needs of consumers. It’s no secret that customers increasingly prefer to use mobile banking apps to manage their cash ‘on-the-go’ over online banking. In fact, did you know that mobile banking apps are being used around 7,610 times a minute? Now consider this alongside the Competition and Markets Authority’s (CMA) recent announcement regarding UK banks having to offer the same customer service through its apps as can be found in high street branches. This means that customers will be able to access details of their entire finances through a single mobile phone app by 2018. That’s a whole heap of data from bank statements, transfers, loans, overdrafts, savings, mortgages to name a few, for one person. Multiply this by the estimated 11 million of us who have already decided to swipe instead of log-on. Now, if our banking app is crashing or buffering for long periods of time because it’s overwhelmed by the vast amounts of data it receives, we’re simply not going to use it – the app will be redundant. Think back to when Natwest and RBS customers were left out in the cold when its banking app glitched, when in reality, a lot could have been done to prevent this. As a society we are embracing digital technology for simplifying daily tasks. But are banks truly ready for the impending data boom and how can they bolster their smartphone app to meet demand, and if not, what can they do to armour themselves? We all want easy access to our financial information and we want to be able to query and manipulate it on our own terms. We all want access to our financial information securely, immediately, both online and via mobile apps – it’s the idea of controlling our money on-the-go. Thanks to our now connected-obsessed world, some of generation y may have never even seen the inside of a branch. Banks need to give customers much, much more. With the possibility to digitally question financial transactions, product information such as loans, mortgages and insurance in real-time via a mobile app, banks have only just scratched the surface. For example, we want to be able to instantly message an advisor from a smartphone to get product information or clarify the meaning of a loan agreement. This is just one demand from customers who expect their retail banks to provide instant insights to all aspects of their financial interests in one place instantly. Millennials represent the greatest lifetime value of any banking customer. 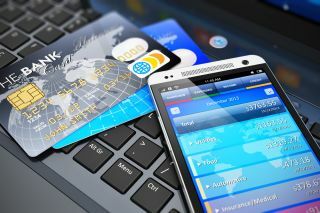 In fact, in 2015 80 per cent of millennials conducted basic banking digitally and 52 per cent claimed that they prefer non-traditional payment methods. We can assume this has since grown. More and more of us are on the go and using a smartphone to bank. However, unfortunately if the network is poor, user experience will suffer, and customers will become frustrated. This means that users may look for an alternative bank with a better digital service. With this market steadily growing in importance, it’s vital that an app can deal with the unpredictability of network connections to meet the demanding needs of this new market. Banks have invested millions in improving customer experience within its branches by building flagship hubs, investing in call centre training and improving omnichannel capabilities. So, why are banks still providing outdated services and products? A good example is to look at the information a consumer may need to place an expense claim at work – you might want to know the detail of last month’s statement or be able to check the exchange rate of a transaction made yesterday. We all want to see our financial history, total balance (across all our accounts, savings, loans mortgage, etc) and be able to do so instantly. Take German online banking company Consorsbank who has recently created the next-generation, consumer retail banking mobile application. The company has revamped their digital offering creating a high-functioning app that does much more than simply ‘bank’. Customers want to see how they spend their money for work, pleasure, leisure, and lifestyle. Consorsbank thinks beyond the basic features commonly associated with banking apps. Instead, they have developed a seamless platform that acts more like an on-the-go mobile financial concierge or advisor. This has provided the branch customer experience desired by their customers. In today's world, consumers are savvy, demanding and on-the-go, time itself is our most precious asset, so we expect data that is accurate and delivered in the moment. And let's not forget, all it takes is a split second to make a decision to spend and buy products. To do this and enable customers to manage their assets better, banks must supply a simple view that is accurate and up to the minute. The truth is, we are embracing digital technology for simplifying daily tasks, and this is the case for the banking industry. Banking apps need to be bigger, faster and stronger, and the sooner they are, the better.